The magazine has all of the major charts, including the Hot 100. The magazine also has all of Billboard's regular features. The magazine is also full of many ads for then-current artists and releases, including the back page ad for Fleetwood Mac, the inside back page ad for Laura Branigan, and the inside front page ad for Suzanne Vega, all seen above. Billboard Magazine - Woman Of The Year Issue - Featuring Ariana Grande (Dec 8, 2018) - This is a subscription copy of the Woman Of Year edition of Billboard magazine. It features Ariana Grande as the cover story as well as other notable woman from 2018, along with the usual features and charts found in Billboard. Up for grabs is the May 3, 2014 issue of Billboard magazine featuring Mariah Carey on the cover. Magazine is complete and in excellent condition. BILLBOARD # 08 - APRIL 2019. Billboard Magazine year end 1980. Condition is Like New. Shipped with USPS Priority Mail. 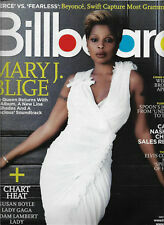 THE BILLBOARD Magazine. The magazine has 82 pages. Overall G/VG, creases on front and back cover.Insides good. SEE THE 8 SCANS. March 2, 2019 issue ofBILLBOARD magazine featuring BLACKPINK. Issue sold as is. Shipping label is covered with blank labels upon shipment. Photo is of actual magazine. Next day shipping. Bid with confidence. PEABO BRYSON (see pic). AC/DC (see pic). ELECTRIC LADY STUDIOS (see pic). BIllboard Magazine April 13, 2019 “American Dream“ 21 Savage. Condition is Like New. Shipped with USPS Priority Mail. *Please note* The issue was received via US Mail, so it may contain the usual slight scuffs/imperfections as any piece of mail endures. If you’re looking for a perfect mint copy this is not it. Issue sold as is. THERE IS A BAR CODE ON THE COVER THAT IS NOT SHOWN ON THE PHOTO. Rare Billboard Magazine - 8/21/43 - Swing & Sway with Sammy Kay& His Orchestra. Condition is Acceptable. Shipped with USPS Priority Mail. 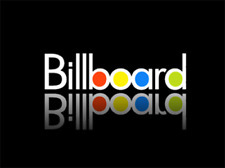 The two most notable charts are the Billboard Hot 100, which ranks the top 100 songs regardless of genre and is based on physical sales, digital sales and radio airplay. Billboard magazine. Billboard Magazine. Up for grabs is the May 18, 2018 issue of Billboard magazine featuring Janet Jackson on the cover. Magazine is complete and in excellent condition. Spine a few small crease marks which is how I received it directly from Billboard. BB 1968-11-02. BB 1968-10-26. BB 1968-10-19-Country. BB 1968-10-19. BB 1968-10-12. BB 1968-10-05. BB 1968-09-28. BB 1968-09-21. The magazine has all of the major charts, including the Hot 100. The magazine also has all of Billboard's regular features. The magazine is also full of many ads for then-current artists and releases, including the back page ad for Little Feat, and the inside back page ad for Luthor Vandross, both seen above. 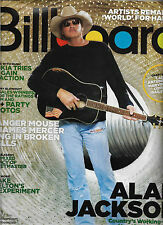 Billboard Magazine 11/10/2001 Britney Spears Jewel George Strait Shakira Manilow. Condition is Good. Page wrinkles as shown in pictures. Ask all questions prior to bidding USA shipping only Paypal only No returns Thank you! NEW 2011 BILLBOARD BEYONCE LIVE AT ROSELAND MAGAZINE. WE GIVE YOU THE ENTIRE MAGAZINE!! BTS Billboard Magazine Poster (Jungkook). Condition is Like New. Shipped with USPS Priority Mail. WE GIVE YOU THE ENTIRE MAGAZINE!! YOU CAN BUY A SINGLE PAGE FROM OTHER DEALERS. IT IS IN VERY GOOD CONDITION. Billboard Magazine "The World of Country Music" Oct 28,1967. Condition is excellent with no flaws. Shipped USPS 1st. class mail. A lot of 14 Rock Music ad pages mostly from Billboard Magazine. All from the early 1980s. Bands featured in these ads. The magazine has all of the major charts, including the Hot 100. Paula Abdul had the number one album ("Forever Your Girl"), and Alannah Myles had the number one single ("Black Velvet"). 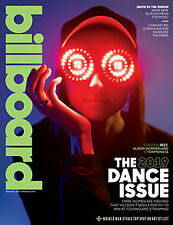 The magazine also has all of Billboard's regular features. Johnny Marr. 23 PAGES OVER MANA. AN INCREDIBLE TRIBUTE TO MANA. May 28, 2011. Bruno Mars. PRINCE BILLBOARD MAGAZINE MAY 7, 2016 . Prince legacy issue. "Compliments of Billboard" Prince sections runs from page 34 to 51. Any questions please do not hesitate to ask. COVER STORY:THE YEAR IN MUSIC AND TOURING 2008's highlights include Chris Brown as the top pop artist and Bon Jovi's Lost Highway trek the top tour. BON JOVI FANS: 18 pages are dedicated to them and their touring success this past year. WE GIVE YOU THE ENTIRE MAGAZINE!! YOU CAN BUY A SINGLE PAGE FROM OTHER DEALERS. Buy from us. Billboard Magazine. It is a special "double issue" that contains the year end charts and awards for top artists and recordings for the year. 1986 Special Year End Double Issue. IT IS IN "LIKE NEW" CONDITION. BB 1950-05-27. BB 1957-09-16. BB 1957-09-09. BB 1957-08-19. BB 1957-08-12. BB 1957-07-29. BB 1957-07-15. BB 1957-07-08.